The year was 1982. Glenn Fowler was driving up and down Waterloo Street, Hanley, trying to find an oatcake shop. In the end he had to ask a local to point him to the location. There was no signage – just a window and a curtain. Glenn, a joiner by trade was 30 at the time, but had recently been running a chip shop. He didn’t know it back then, but Glenn was about to take over what was to become the last Hole In The Wall oatcake shop in the Potteries. 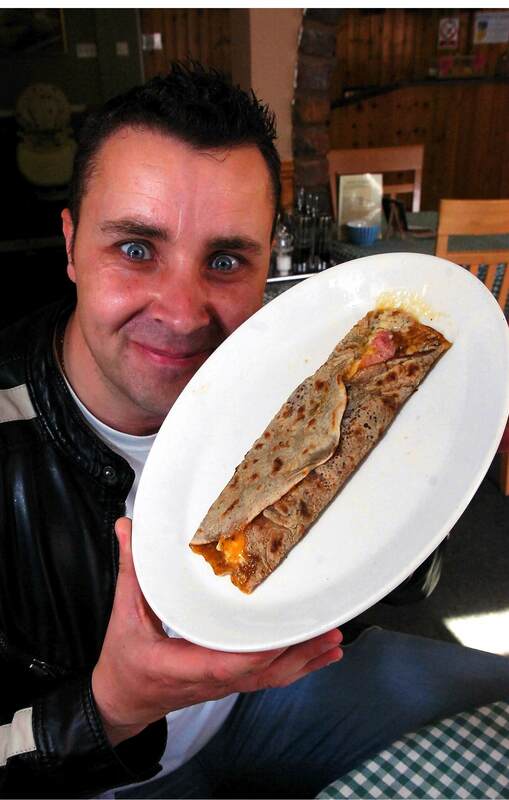 Having done the paper work, the owner showed Glenn how to make up one oatcake ‘mix’… and then promptly retired to Lytham St. Annes. Glenn said: “Looking back now it was a big gamble. Purchasing the business cost us £30,000 which was a lot of money in 1982. Fortunately, Glenn and his wife Sue were able to call on Sheila Hickson – who had worked for the previous owner. Glenn says the business was profitable from day one because he and Sue always ran a tight ship. Back then they were selling just plain oatcakes and pikelets. That all changed thanks to a local copper. Glenn said: “There was a policemen who used to call round and ask us to put a bit of cheese on an oatcake for him. We used to buy a little block just for him. 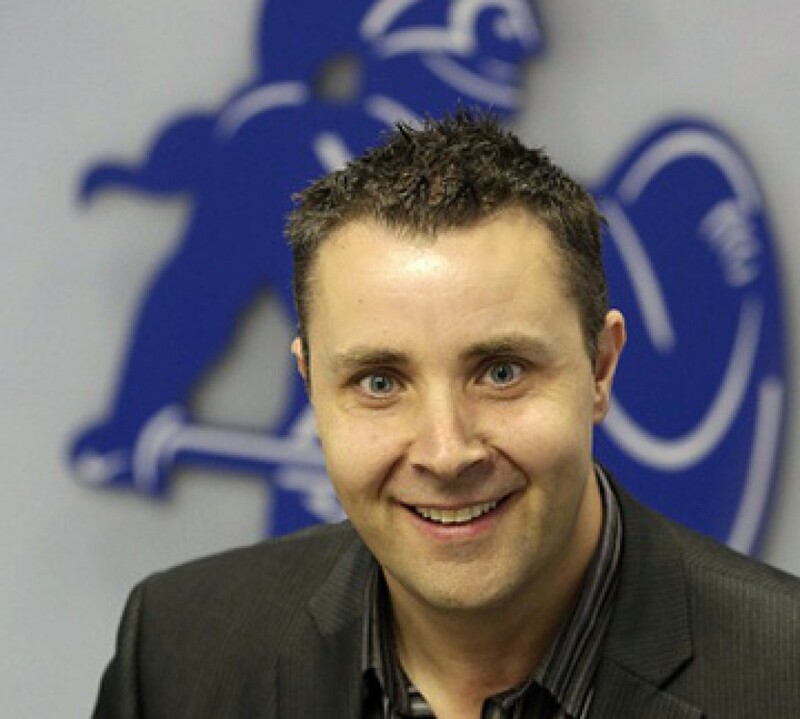 “That was the start of the demand for fillings which became a huge part of the business. “That is what has really changed over the last 30 years because, fundamentally, the business itself and the processes involved are exactly the same as when we took over. These days, however, rather than just plain oatcakes and pikelets people want bacon and cheese and sausage and all sorts of things. The Hole In The Wall closed on March 25 after a lengthy campaign to preserve this little piece of Potteries heritage. Waterloo Street is in a regeneration zone and the shop – part of a row of terraced properties – will be demolished to make the area ready for redevelopment. Glenn and Sue didn’t want to pack in. There was even a suggestion that their shop be dismantled and rebuilt brick-by-brick in a different location – possibly at the Potteries Museum and Art Gallery. 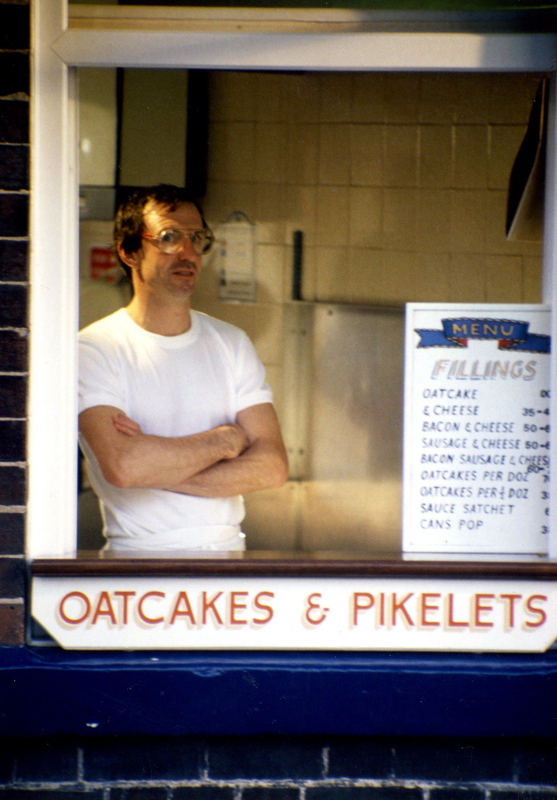 There are, of course, still plenty of oatcake shops across North Staffordshire but Glenn’s was the last Hole In The Wall – echoing a tradition of the Potteries delicacy being sold through the windows of people’s homes. He said: “Our last day was incredibly emotional. We had queues of people, huge bulk orders to complete and scores of cards and flowers from well-wishers. We have no plans at the moment. We are still trying to clear the place out. I don’t pay any attention to the seemingly endless roll-call of financial experts and economists dredged up by political parties and the media to gaze into their crystal balls and offer pearls of wisdom about the recession. My view is that if they didn’t see the mother of all financial storms coming then they can’t be relied upon to predict how bad it will be or how long it will last. The FTSE may have risen a few points recently but does anyone in the real world outside the City or Westminster honestly believe we are seeing any ‘green shoots of recovery’? I only use that lazy cliché because I’m so sick of hearing the phrase bandied around by people shielded from the harsh economic realities of Britain in July 2009. People with protected pension funds or on huge bonuses or commenting from the comfort of a BBC studio in London. Recovery? Do me a favour. The UK is going to hell in a hand-cart and I can see precious little being done to minimise the casualties. Take, for example, my brother Matthew. He’s 32, single, and a window fitter. He works hard and he’s very good at what he does. And right now he’s the dictionary definition of how the recession has kicked the you-know-what out of the working man. At the start of the year Matt was working in London building a new school for a company based in Cannock. If truth be told, he’d rather not be working away from home but needs must when the Devil vomits on your oatcakes. Inevitably, a bloke from the Potteries working in The Smoke incurs diesel costs, lodgings and tube fares –all of which, crucially, can’t be deferred. Matt became increasingly concerned that he hadn’t been paid as promised but was told time and time again that there was nothing to worry about. After 12 weeks, numerous telephone calls and no less than three visits to the firm’s headquarters, the boss finally strolled out of his office to tell him the company was going into liquidation and he wouldn’t be getting a penny of the £2,000 he was owed. This left my brother with no work and two months’ worth of bills to pay. To add insult to injury the same bloke who had strung him along for three months was trading again the following week, from the same building, through a sister company with a slightly different name to the firm that went bump. Matt being Matt, he kept his worries to himself and begged, borrowed and scraped together the money he owed. He then began sub-contracting for another firm, based in Cheshire, working on a variety of building projects in London and Leicestershire. Three weeks ago he quit. Up until now he has been paid £1,100 of the £3,000 he is owed for work he completed months ago. To date, excuses for non-payment have included the boss being on holiday and a woman in the firm’s accounts department being off with swine flu. All the while Matt has a mortgage to pay, repayments for his van to keep up, and all the other household bills we know and love so well – not to mention the stress of wondering where his next pay packet is coming from. After a few weeks in limbo, he has just started work up at the University Hospital of North Staffordshire and has been promised he will be paid fortnightly. There are people a lot worse off than my brother – something which Matt often reminds me. People with families and young children who have been made redundant or treated just as shabbily by bean-counters only interested in the short-term and self-preservation. The sad thing is that at a time when our glorious Prime Minister is telling us we should all be pulling together, it’s actually every man for himself. If there was any justice then the bloke who owes my brother two grand would have the Mercedes he drives impounded until he had paid off all his creditors and he would be barred from running a business ever again. The reality is there is very little protection for the most vulnerable members of the UK’s workforce and the kinds of sharp practices that have always been used by businesses are even more prevalent now the credit bubble has burst.